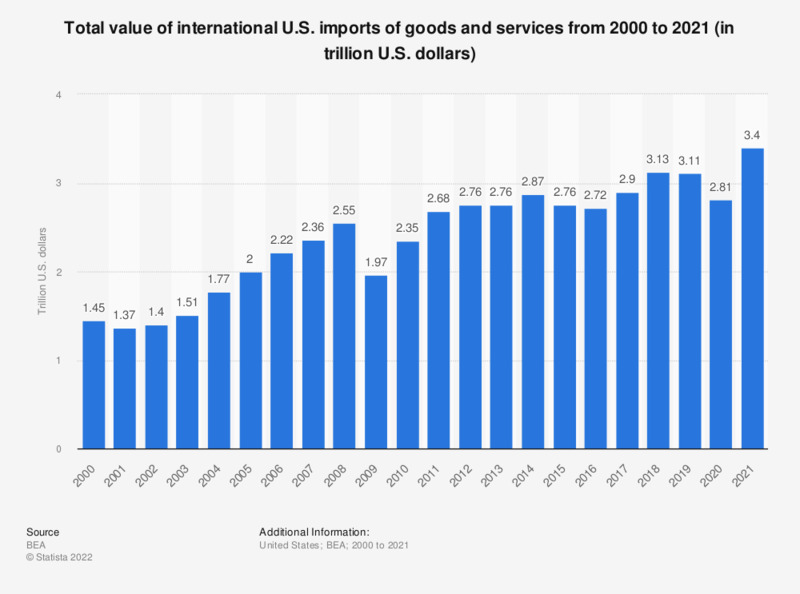 The timeline shows the total value of international U.S. imports of goods and services from 2000 to 2018. In 2018, the total value of international U.S. imports of goods and services amounted to 3.1 trillion U.S. dollars. Services: travel, passenger fares, other transportation, royalties and license fees, other private services, U.S. Government miscellaneous services, and direct defense expenditures. What services and programs should libraries implement in their programs?